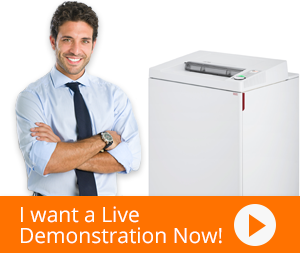 Destroyit-Shredders present you the lowest prices than anyone else in the market. We at CBM offer guaranteed prices with excellent pre and post sales customer services. MBM Destroyit is a top of the line brand that ensures user convenience as well as user confidentiality. MBM offer a variety of security levels as well as sheet capacities, allowing users to choose the most suitable solution according to its capabilities. Moreover, MBM Destroyit shredders offer value added features like energy smart system, safety features, dual feed opening and many more. A unique combination of innovation and convenience, MBM Destroyit offers the most desirable document shredding solutions.